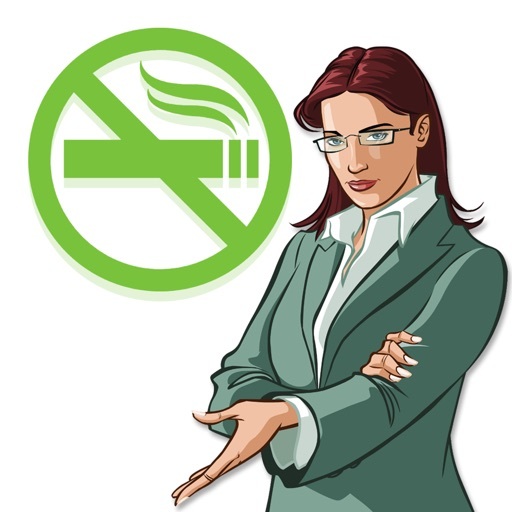 Do you want to quit tobacco or help someone else to? If that’s the case, you’ve made one of the best decisions of your life. 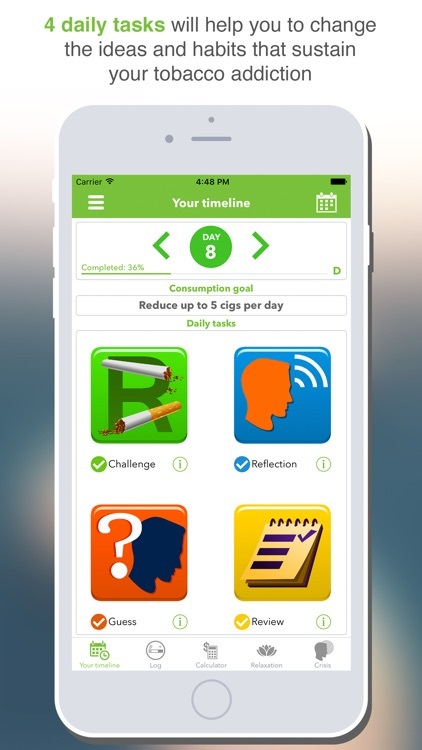 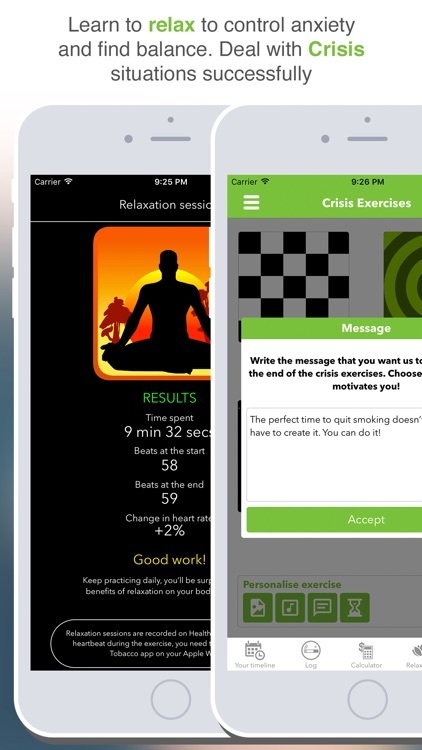 Download our virtual therapist app and start our smoking cessation program now! 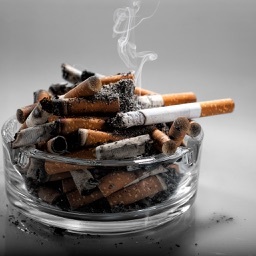 This is a serious programme to help you give up smoking, endorsed by the Official College of Psychologists (COPLP) and developed in collaboration with the University of Las Palmas de Gran Canaria. 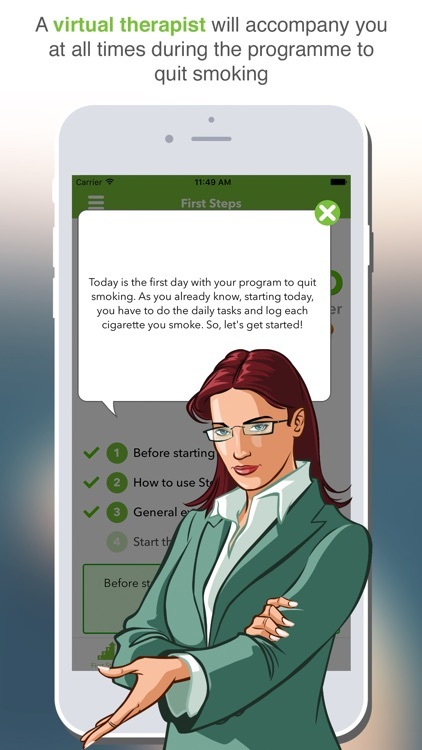 Our programme will help you quit smoking progressively in a controlled way thanks to the help of a Virtual Therapist who will accompany you in the different stages of treatment: initial evaluation, daily tasks, D Day and the days following quitting. 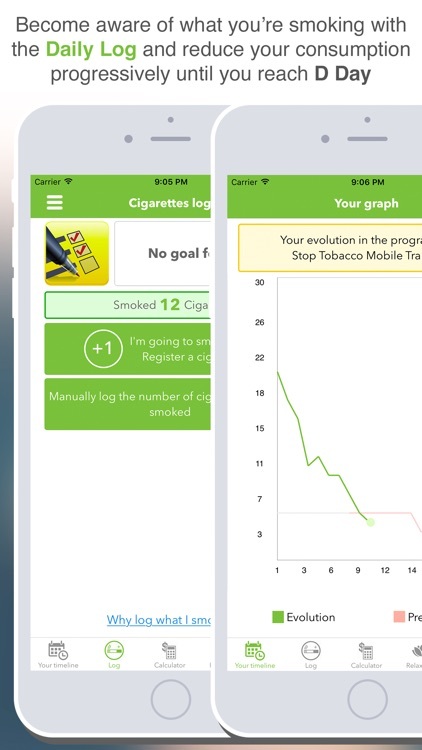 With the aim of showing and analysing your heartbeat on the application, Stop Tobacco may read this information from the HealthKit database on your iPhone and Apple Watch. 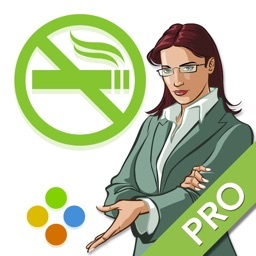 * University studies conducted by the ULPGC demonstrate the effectiveness of this program to stop smoking. 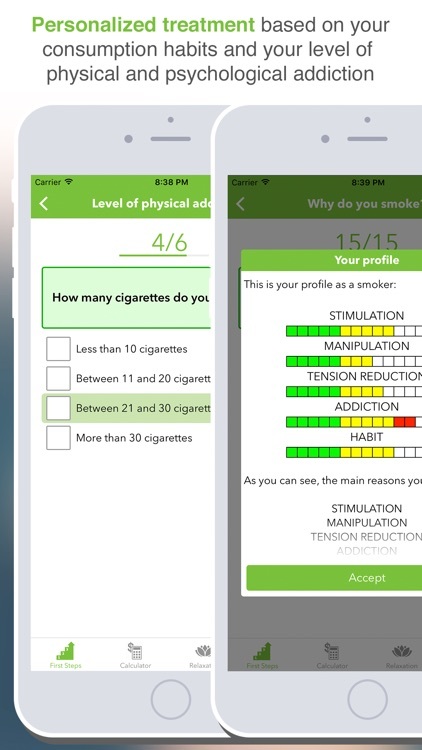 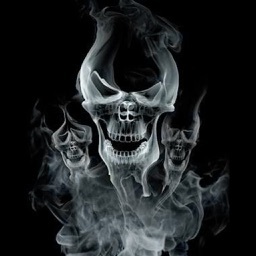 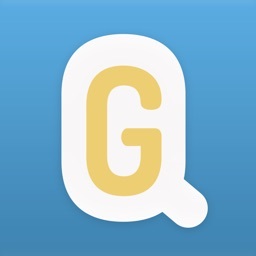 Even so, this application does not guarantee that you will stop smoking.